SERIAL litigant Ignatius Masamba, who was on several occasions slapped with orders for perpetual silence at the High Court, will now undergo psychiatric examination to ascertain his mental status. A number of High Court judgments were issued barring Masamba from suing anyone in relation to several specific court disputes, but this time he annoyed the court after bringing up fresh vexatious suits. Masamba, who over-exercises his right to sue, has over the past five years bombarded the High Court with 49 cases and the Constitutional Court with 13 cases, the bulk of which were viewed as frivolous and vexatious. At the Magistrates’ Court, Masamba also filed a number of civil cases. When he visits any public offices, the officers who attend to him risk being served with summons any time. Judges have complained of Masamba’s disdain and disregard of court orders. The hyper-litigious Masamba has picked fights with the Harare City Council, Zimbabwe School Examination Council, former president Robert Mugabe, Minister of Justice, Legal and Parliamentary Affairs, Zimbabwe Electricity Transmission and Distribution Company, the Judicial Service Commission and many others. 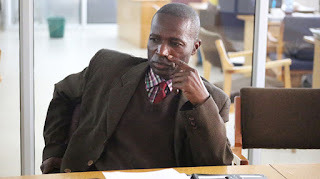 In one of the cases, High Court judge, Justice Joseph Mafusire ordered him to voluntarily be examined for mental health issues, but he did not comply. In the latest case, Justice Felistus Chatukuta ordered that he be compulsorily examined by two different psychiatrists. If Masamba does not go on his own, he will be forcibly taken to the psychiatrist in terms of the court order. “The applicant be and is hereby ordered to subject himself to an examination by two psychiatrists from Government institutions within 14 days of the issuance of this order. The two psychiatrists shall inquire into and report on his mental state. “In the event that the applicant fails to comply with paragraph 2 of this order, the registrar be and is hereby directed to issue a writ for personal attachment and the Sheriff be and is directed to execute this order,” ruled Justice Chatukuta.